If the surveyor’s role is to define the boundaries of our physical world, what happens if the boundaries of the planet itself keep on shifting? That’s a question that’s raised by the research of Professor Kurt Lambeck – research that helped net him the 2018 Prime Minister’s Prize for Science in October. The earth is constantly changing shape and has been doing so since before human beings evolved to walk on its surface. The results have long affected sea levels and the solid land of the continents. Lambeck calls this “the breathing planet”. And with the relationship between the planet and its satellites also being affected, Professor Lambeck’s work in the 1960s was part of the foundation used to build today’s GPS-based systems and to ensure that they are accurate. Across his career, Professor Lambeck has tracked the changes in the Earth’s surface, leading to the Prime Minister’s Prize for Science being awarded. 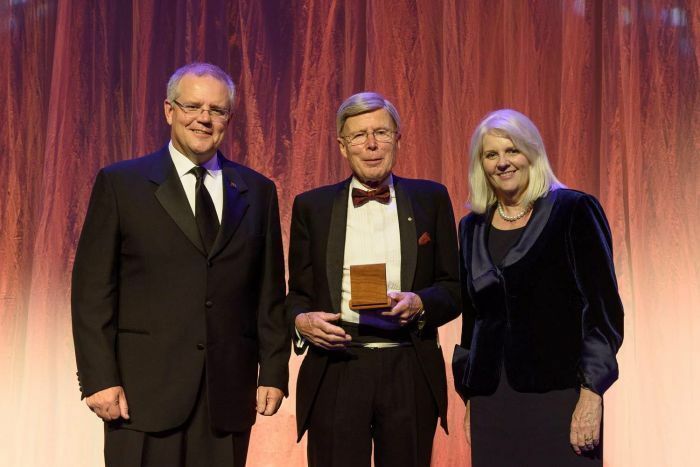 The prize is just the latest feather in the cap for an expert who has had an immeasurable impact in the field of geodesy, and who spearheaded the development of the AuScope Network, a geodetic monitoring system utilising over 100 satellites, radio telescopes and laser tracking systems. Kurt Lambeck’s work has put the study of the earth, its gravity forces and its geography front and centre. But while you might not think of a geophysicist or an Emeritus Professor at Australian National University when you think of the humble surveyor, Lambeck in fact got his start studying none other but surveying in the 1960s. Following his Bachelor of Surveying at the University of New South Wales, he developed a deep fascination with space geodesy – the precise measurement of the earth using satellites – which he explored through a PhD at Oxford University. When he graduated it was 1967 and space travel was very much in the zeitgeist. From these first steps, Lambeck has become a shining example of someone utilising their qualifications for the surveying profession to travel down a path that’s a little more unusual. For many, surveying can lead to work in academia, governmental work, science laboratories and other off-shoots of geodesy. To learn about some of the different surveying roles that are out there, click through to this page. You can also read about the different study paths available to you over on the New South Wales and Victorian sub tabs.